Meet our Sunday Guest Designer for August; Welcome Vicki Garrett! We are excited to announce Vicki Garrett has joined the Vera Lane Studio Design Team as our Sunday Guest Designer for August. Please look at her lovely weekly creations. 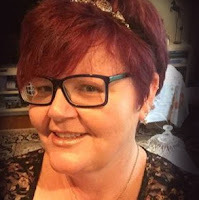 Vicki would like to share a little bit about herself! 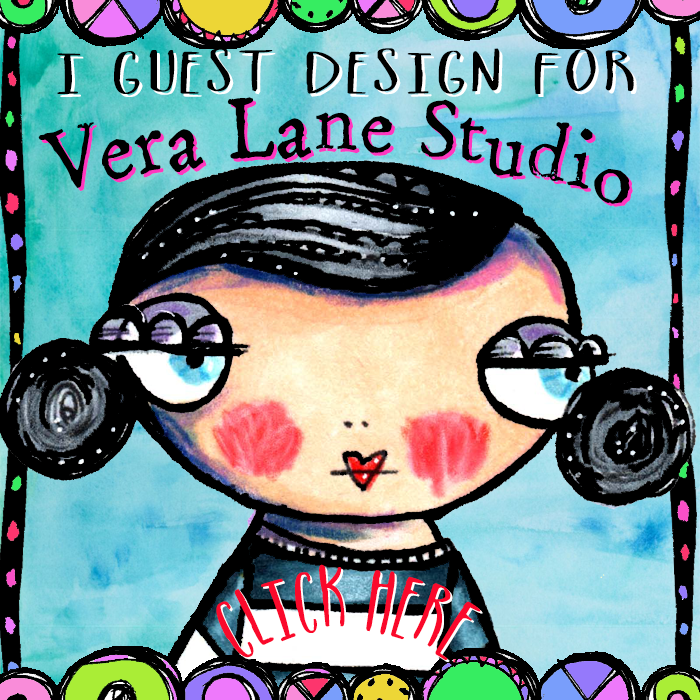 I'm over the moon excited to be guest designing with Vera Lane Studio's this month! I have been a huge fan of Janet's whimsical and quirky images when I discovered them in my early years of papercrafting. I enjoy many forms of creative expression, including paper crafting, mixed media, scrapbooking, writing and music. Visiting my blog has been described as a "surprise" given my lack of one certain style. I sure hope you enjoy what I've created for you this month! Vicki will be joining our team in a month of sprinkles and sparkles! I hope you will enjoy what we have in store for you this month! July is flying by and we added several sweet little gals to the shop and a dancing kitty. There will be a surprise "soft release" this Wednesday, July 26 so please stay tuned! Our first July release has become a shop favorite-- our Kokeshi Dolls. It's a set of five little cuties, and accent flower and a sentiment. With our ATC challenge theme using your favorite VLS character with blooms this set has been certainly been a hit! Our design team has posted fabulous samples featuring these gals. We are finding these gals as so easy to color, fussy cut and paper piece! Chiyogami Paper makes a terrific background or fussy cut for a doll's kimono. 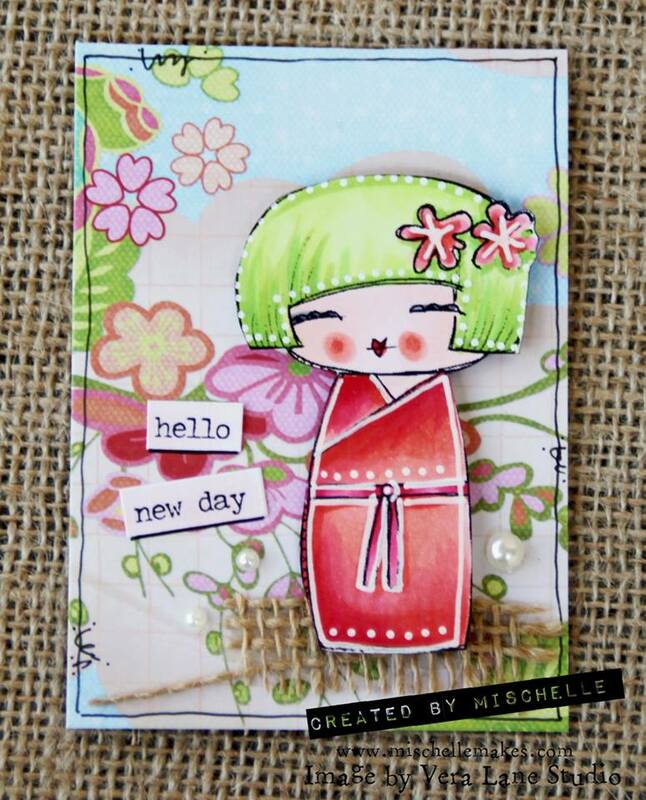 We are also loving the play with hair color as this lime green-headed Kokeshi by design team member Mischelle Smith. This will be one of the stunning cards traded in our current ATC swap! comes with a sweet ballerina in her tutu, her dancing kitty, a studio door, a headband and crown and sentiments. The studio door can be trimmed to make a glass window with acetate for any of our characters to stand behind. Use our little dancer alone or with the other elements in the set. This set is adorable for the dancer in your life, journal entries, birthday greetings and invites. Add glitter and gems to create a special artwork for someone special. We have all had our share of crafting disasters in our studio spaces. My dog loves to come into my studio and stretches his little body to eat paper items off my table. I have found many long labored cards and coloring half eaten in other parts of our home. Or maybe when I nearly drank my paint water or cleaned my brush in my coffee? Or when precious Copics unknowingly fell into the wastebasket and had to be replaced! Unfortunately my list is not a short one. If you have a crafting disaster we are doing a give-away for your story on our private VLS FB group. Please join us and you have a chance to win the July 26th soft release set. 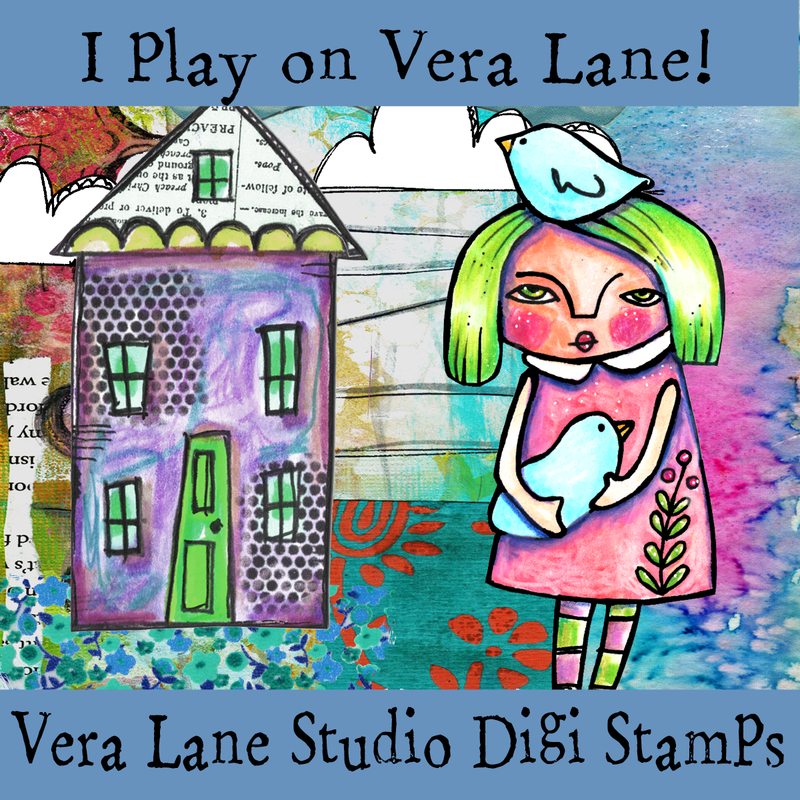 Welcome to July on Vera Lane! 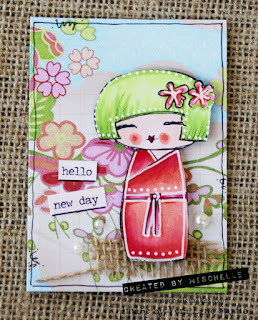 Not only are we adding a new design team member (Corrie Herriman) we are welcoming our July Guest Designer - Linda Camus! I am so excited to be your Sunday guest designer for July. My name is Lin and I am married with 2 adult sons. I have two dogs which keep me active and love going for long walks with them. I live in Tasmania, Australia which is a gorgeous part of the world and I am retired which gives me a little extra time for crafting. I have been card making for at least 10 years and sell my work at our local market. I am not one that like to do lots of layers and flowers. I am more of a clean and simple worker. Why do I love Vera Lane images? First and foremost, I love their quirky design, they are easy to colour and I just love how easy they are to fussy cut. You can work with them in so many ways from a card to journal page. Janet does a wonderful job and I hope my designs can do the digi’s proud. 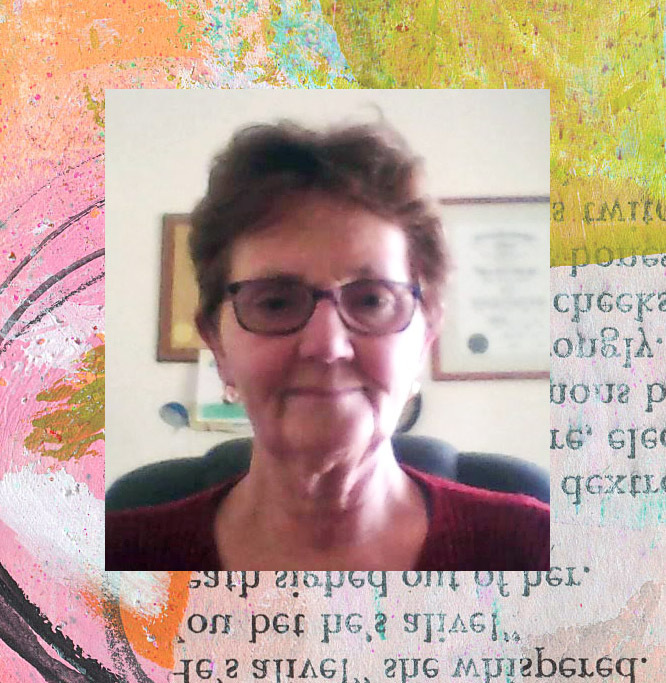 Linda will be bringing you lots of inspiration this month every Sunday. Lin's creations along with the rest of our team's eye-candy can be viewed in our closed FaceBook group. 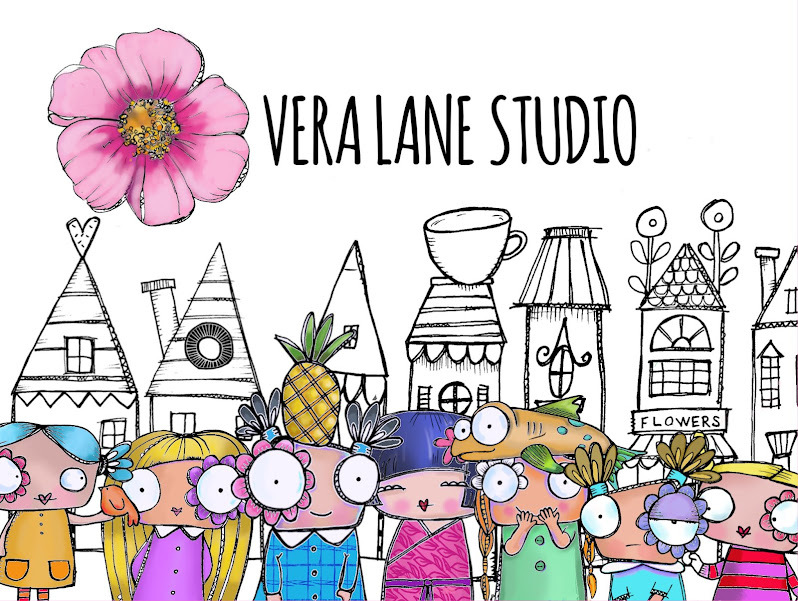 If you'd like to learn more about Vera Lane Studio you can join our FaceBook group or visit our FaceBook business page.